Vector Illustration Of Cute Cartoon Bear With Tribal Design Elements.. Royalty Free Cliparts, Vectors, And Stock Illustration. Image 98014599. Vector - Vector illustration of cute cartoon bear with tribal design elements and hand written phrases for placards, t-shirt prints, greeting cards. 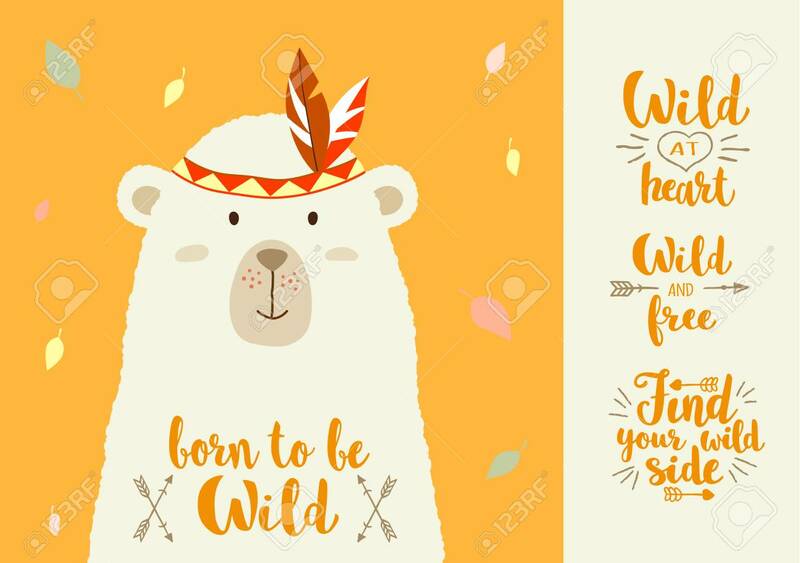 Vector illustration of cute cartoon bear with tribal design elements and hand written phrases for placards, t-shirt prints, greeting cards.